Suffering injuries that lead to disfigurement, blindness, or deafness can change your life for the worse forever. Find out how to get compensated by working with a Salt Lake City car accident facial injury lawyer. From minor fender benders to catastrophic collisions, car accidents are an everyday occurrence both in Salt Lake City and across America. Suffering injuries in a car accident can be one of the most frightening experiences a person can endure. The injuries and the emotional trauma that follow a wreck can be life-altering, affecting your financial, physical, and emotional wellbeing. Car accident injuries can be serious, especially when the wounds affect the facial area and cause disfigurement and permanent scarring. The emotional distress accompanying facial injuries is high due to the fact that the damage is readily visible and can impact your personal and professional lives alike. 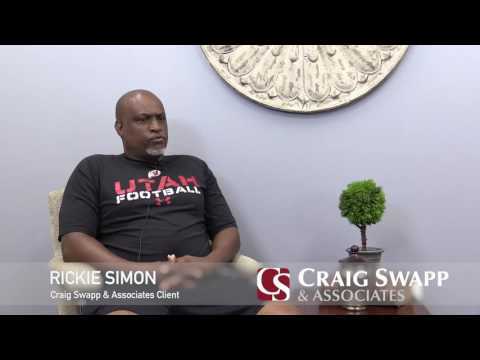 If you have suffered facial trauma in a crash, a Salt Lake City car accident facial injury lawyer from Craig Swapp & Associates can help you understand your legal rights and recover the damages you are entitled to from the negligent party. The face is one of the most important areas of the body, and an injury to this region can have devastating effects. Permanent scarring and disfigurement can lead to emotional trauma that can affect you for months, years, or the remainder of your life. Common facial injuries may be minor and heal within a short period of time, while other facial injuries, such as severe burns and eye damage, could be permanent and require costly and ongoing medical treatment over a long period of time. Eye injuries are particularly traumatic for victims. Losing your eyesight can easily change the way you live your life forever. From requiring special equipment and accommodations to simply adjusting to a new way of life, the impact of blindness is incredibly pervasive. The financial burden inflicted by an auto wreck can be overwhelming and stressful for many victims. Long recovery times can lead to temporary or permanent loss of work, resulting in financial chaos for victims and their families. It’s important to seek the advice of an experienced Salt Lake City car accident facial injury lawyer if you have been the victim of an accident. Filing a claim against the negligent party can allow you to recover damages that can help you get on with your life. A settlement can give you the necessary financial stability to move on with your life. When you need to hold the party responsible for your face and eye injuries accountable, contact the experienced lawyers of Craig Swapp & Associates. Compassionate and aggressive, we will work tirelessly to recover the maximum compensation possible for your injuries. Contact us online through the form below or call 1-800-404-9000 to schedule a free, no-obligation case evaluation to discuss how we can help you through this difficult time.